This recently renovated, chalet-style Lodge hotel is situated in the peaceful village of Avajan in the stunning Louron Valley. The ski resorts of Val Louron and Peyragudes and also the famous Balnea Spa are just a short drive or bus ride away. Situated in the peaceful village of Avajan in the Louron Valley is where you will find this lovingly restored former village post office. Inviting fireplaces flanked by bookcases that include everything from weighty tomes to blockbuster novels, exposed beams on the ceilings, stone pillars and hand-crafted staircases are all demonstrative of this. Nestled in the valley just above the babbling Neste du Louron river and surrounded by Pyrenean peaks in all directions, this is a truly stunning setting with an overwhelming 'away from it all' feel - the perfect antidote to modern life! 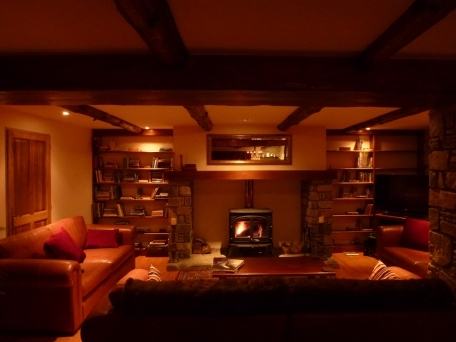 The former post office is now a luxurious chalet-style hide-away that lends itself perfectly to comfort and relaxation with blazing log fires, sumptuous leather sofas, gastronomic delights lovingly prepared by the in-house French chef and excellent company. The friendly ambience and relaxed feel of the place ensures that you feel immediately at home – whether you are a family, a group of friends or a couple. The fresh and simple yet cosy rooms are all complimented by modern shower rooms, with many benefitting from juliette balconies and excellent views. 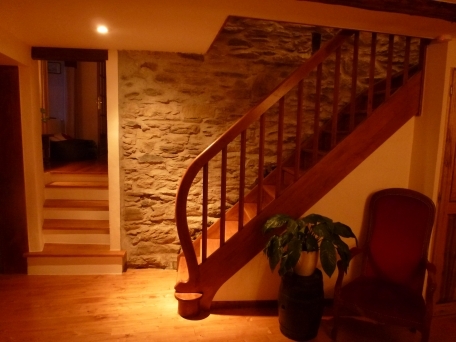 Many of the rooms retain some of their original features such as the exposed natural stone. Outside, the decked terrace with its comfortable furniture is the perfect place to enjoy an aperitif in the setting spring sun as you reflect on the days endeavours and the culinary delights to come! Just a short drive away are the ski resorts of Peyragudes and Val Louron - each with something very different to offer. Peyragudes is a modern resort with high speed lifts ensuring you get maximum time on the slopes. The ski resort of Val Louron is more relaxed with a family orientated feel and stunning views of the 3000m+ peaks that dominate the skyline here. 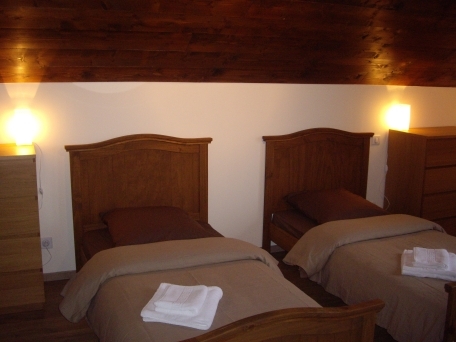 The simple and stylish rooms at L’Ancienne Poste have a modern and fresh feel, yet still cosy and are located on both sides of the building over 2 floors overlooking the garden and valley or with views of the small nearby lake and trees. Some rooms have a juliette balcony and lake or valley/mountain views. Double or twin room sleeps 2 (ca. 13-16m2): Double or twin beds with ensuite shower room with WC and juliette balcony with lake or valley view. Double or twin eaves room sleeps 2 (ca. 13-16m2): Double or twin beds located in the eaves rooms with ensuite shower room with WC and juliette balcony. Double eaves room sleeps 2 (ca. 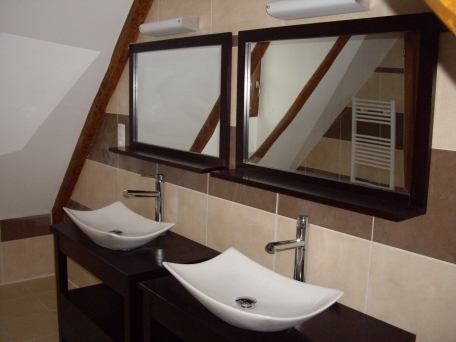 13-16m2): Double bedroom located entirely on the upper floor with ensuite shower room with WC. Triple Room sleeps 3 (ca. 22m2): Double bed and single bed or three single beds with ensuite bathroom with WC and and a juliette balcony with lake view. Bunk bed eaves room sleeps 2 (ca. 9m2): Bunkbeds (ideal for children) in the eaves with velux window with ensuite shower room with WC. Please note: for any rooms at L’Ancienne Poste that feature bunk beds, sleeping in the top bunk is not recommended for children under the age of 6 years old. 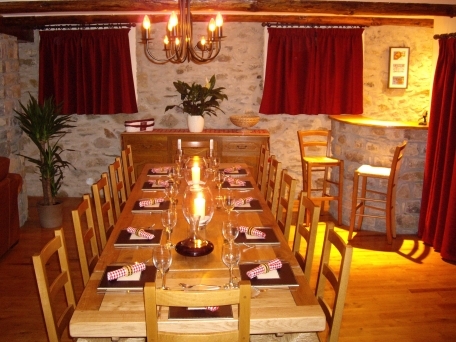 Room on half board basis (continental breakfast, afternoon tea and six 4-course evening meals including wine and after dinner coffee), 2 days complimentary ski guiding by your host and French qualified instructor, ski and snowboard storage. Free Wi-Fi. Pets are not allowed at Anciene Poste. Cots, board games, Home Cinema system, DVD players and Xbox games console (free of charge, subject to availability, request at time of booking). Arrival day at Hotel L’Ancienne Poste is daily from 16:00 and Departure by 11:00. A modern residence located in the beautiful Louron Valley. 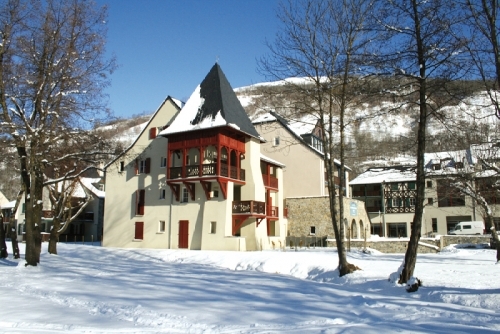 Ideally located near to Balnea thermal spa and between Peyragudes & Val Louron ski areas - each just a short drive away. Lovingly restored former village post office. 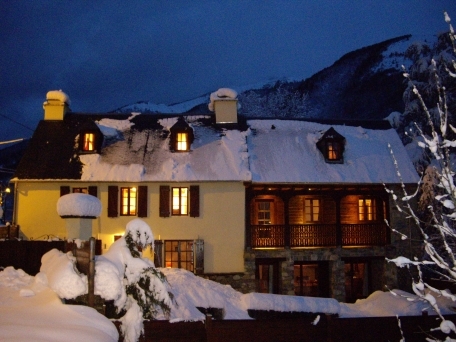 This chalet-style hotel is situated in the peaceful village of Avajan close to the ski resorts of Val Louron and Peyragudes and the famous Balnea Spa.